Read an article recently from Dr Mercola’s site about chicken nuggets from you-know-where (just think golden, and arches, in that order). Dr Mercola is an osteopathic physician, known as a DO and can prescribe medication and perform surgery in all 50 states. He has a very popular website, where he provides up-to-date natural health information. You may have seen him appear on the Dr Oz show, CNN, or heard of the books that he writes, for example, The Great Bird Flu Hoax. “Do you put dimethylpolysiloxane, an anti-foaming agent made of silicone, in your chicken dishes? How about tertiary butylhydroquinone (TBHQ), a chemical preservative so deadly that just five grams can kill you? These are just two of the ingredients in a McDonalds Chicken McNugget. 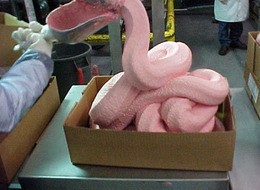 Only 50 percent of a McNugget is actually chicken. 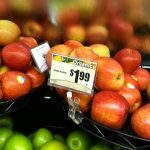 The other 50 percent includes corn derivatives, sugars, leavening agents and completely synthetic ingredients. White boneless chicken, water, food starch-modified, salt, seasoning (autolyzed yeast extract, salt, wheat starch, natural flavoring (botanical source), safflower oil, dextrose, citric acid, rosemary), sodium phosphates, seasoning (canola oil, mono- and diglycerides, extractives of rosemary). Battered and breaded with: water, enriched flour (bleached wheat flour, niacin, reduced iron, thiamin mononitrate, riboflavin, folic acid), yellow corn flour, food starch-modified, salt, leavening (baking soda, sodium acid pyrophosphate, sodium aluminum phosphate, monocalcium phosphate, calcium lactate), spices, wheat starch, whey, corn starch. I’m originally from the UK, and am of a ‘certain age’, so my first experience of a McDonald’s was in London when I turned 18 and got my first job. I think the Oxford Circus McDonald’s may have been the first one built in the UK (although I could be wrong). I was lucky to have a mum who bought farm-raised food and grew her own fruit and veg. She refused to let us watch ITV, the Independent Television Network, historically known as ‘the other side’ in the UK, since we started with BBC1 and BBC2. ITV contained tv advertisements and she thought it was immoral to advertise to children. As a teenager I thought a lot of things about my mum’s opinions that were in opposition to hers, nothing new in the world there (! ), but as I get older and find myself a middle-age mother to two girls ages 8 and 7 I’m beginning to think my mum was right about the ‘immoral’ part, along with the fact that high heels do hurt my feet after a while and that skirts are much better with linings. Thing is, I think there’s a lot more going on here than just chicken nuggets. I see a lot of modern moms in the US with hectic schedules. What’s expected of us as parents, what we need to know, and what we need to be on the look out for in the way of lifestyle choices, health, guidance and everything else has grown exponentially along with the opportunities offered us as women in the modern age. Many moms are busy working, ferrying our children to school, sports and activities so that they have the best they can have and in the meantime our children are being influenced by the media and advertising in so many subtle (and unsubtle) ways. Managing that influence has become another job which parents need to undertake, along with the age-old parenting duties which have always been there. Yet we manage these jobs, fight off the latest request for a plastic item which will make a child’s dream come true (because the child has been programmed to think that) – or fail to fight off the request if we’re exhausted – and do our best to raise children in a Western world that thinks it OK to market to our most vulnerable and precious resource – our children. And a lot of that marketing comes through our most subtle driver connected to a potentially emotional issue, that of food. I’ve heard this phrase when people discuss the job of parenting, ‘it takes a village’. These days I must say, I often wonder where exactly that village is for the modern mom! I hope there are some US moms out there who live in one place, who haven’t moved to another state or distant location away from family because of job requirements or life circumstances and do have a village that helps and supports them in their parenting quest. I believe in this modern world our ‘villages’ need to be made, rather than formed, and another job that falls to parents is to find other ‘tribe’ members with similar backgrounds, similar aged children, and similar aims for a support system. And sometimes we don’t have a village, That Dang Schedule is tight, the children are hungry, and we are tired. I’m happy to cook chicken nuggets, in fact I’ve made Jamie Oliver’s chicken nugget recipe several times and the girls love it, but in this modern world where we’ve now been to the moon and back, as we are making our new villages and tribes, wouldn’t it be great to know that we can just sometimes buy the chicken nuggets, without the foamy stuff? 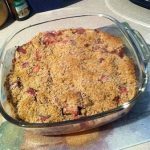 Rhubarb Crumble - a British dessert with some great health benefits! Hi just thought i’d let you know something.. That is twice now i?ve landed in your weblog within the final 3 weeks searching for totally unrelated things. Wonderful Info! Keep up the beneficial do the job. Thanks Denisha. Not searching for agreement, but raising of awareness. I appreciate the kind words. I like cheese too!